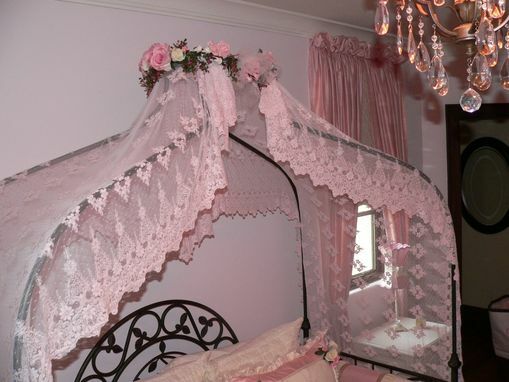 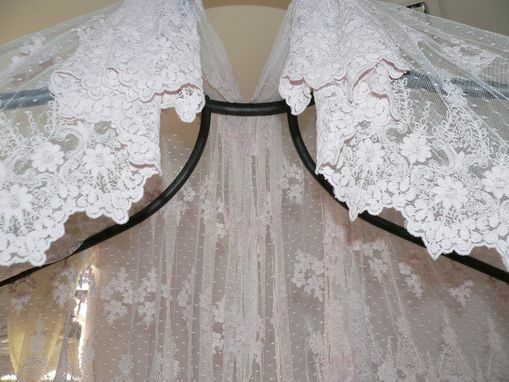 Truly a one-of-a-kind application of this washable lace is a treasure that will always top off your bed in a special way. 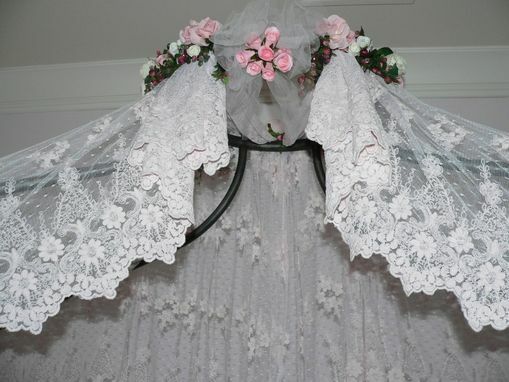 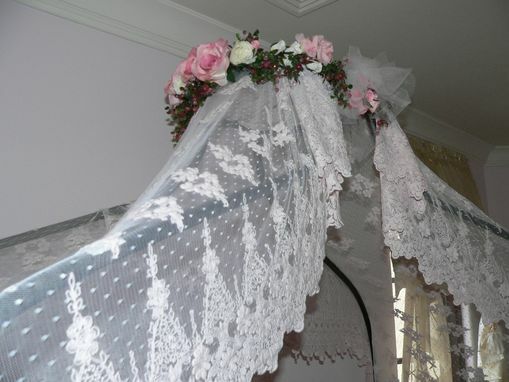 There are other lace colors available and they would be coordinated with the perfect silk flowers. although this canopy uses the iron form that comes with this bed, I can customize this design so that you may use it over any bed!